Memory Care at Market Square provides round-the-clock living assistance and engaging activities in a secure environment for those living with cognitive impairments like dementia and Alzheimer's. Memory Care at Market Square: serving those living with memory loss in the Western Maine foothills region. 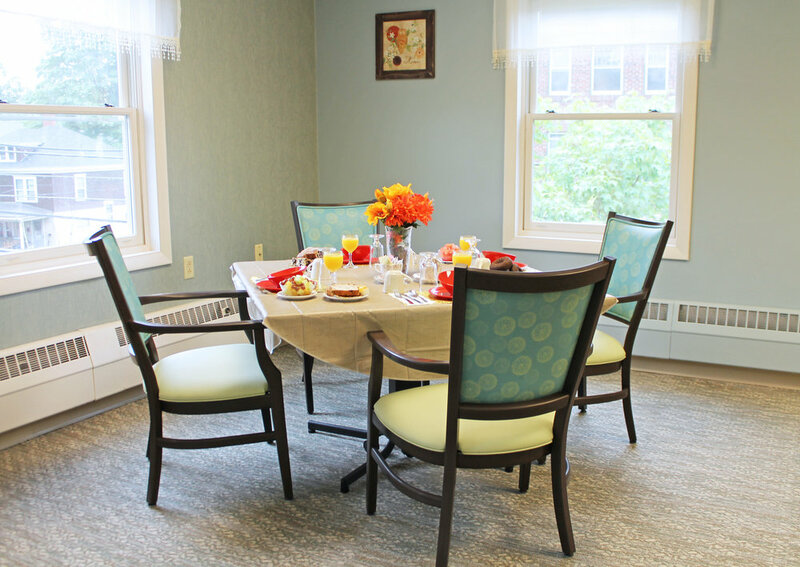 Nestled along the little Androscoggin River in South Paris Maine, Market Square Healthcare Facility is a continuing care community that strives to achieve a resident-centered model of care, and has been serving the community as a senior living facility for decades. The brand new, state of the art Memory Care unit at Market Square is a proud new addition to the facility, serving those with cognitive impairments like dementia and Alzheimer's Disease. This beautiful setting, compassionate and experienced staff, and specialized program can help families get the individualized care they need, right here in the Oxford Hills Region. Our totally secure courtyard gives residents a chance to experience the outdoors safely. Our beautiful dining area is a place where our residents can experience the structure and socialization of eating together, every day. Our clean, homey kitchen is a great place to bake together! Our semi-private rooms have fully separate sleeping areas, so residents never feel crowded. 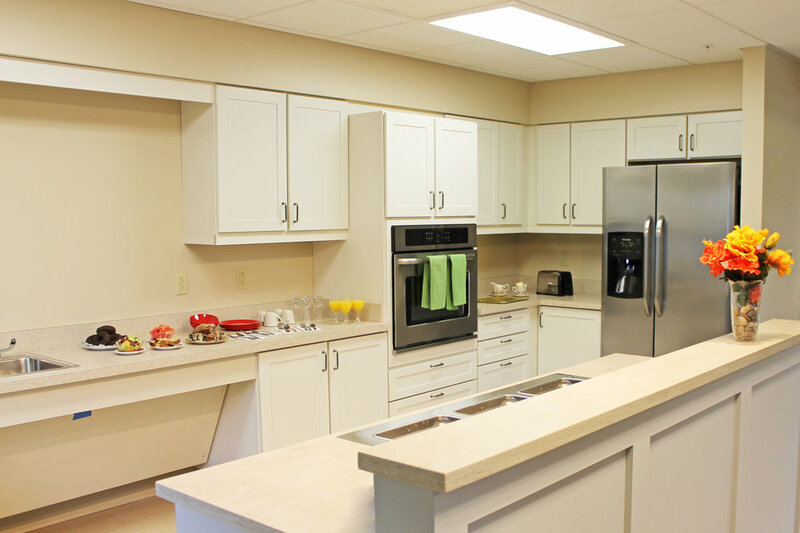 Each Semi-Private Room sports a kitchen for our residents to keep their snacks close at hand! Amy Boivin has been in the health care field for 16 years. She started as a PSS for a small residential home for elderly in Casco, Maine. She then became a CRMA a year later. She has had years of experience and training in the Alzheimer's/Dementia field. She was recognized 3 years ago from Alzheimer's Association for one of the top caregivers in the Lewiston/Auburn area. She worked at Schooner Estates for 7 years, 3 as Team Leader in Assisted living and 4 as Memory Care Coordinator. She is looking forward to the program that is starting at Market Square and thrives to make this Memory Care a rewarding experience for the families and residents. It's all about lending a hand to others that are in need and making their life with Memory Loss a fulfilling one. We welcome the opportunity to speak with you. Please do feel free to call us with any questions you may have or to schedule a visit to our facility. You can also use the contact form at the right if you prefer.